It's 1910 and it seems Anna and her daughter have a good new life in Caernoweth. Anna has found a man she loves, however money is tight. Anna is working at the local pub and Matthew has descended down the mines because he has to earn something. His daughter Freya tries to keep the family book shop running. That's how she meets an incredibly interesting customer, someone who may even steal her heart. Penhaligon's Pride is another fantastic story about Anna and Freya. They're both strong and capable women. I admired their determination and resilience. Times are tough, especially since money is tight. There are secrets, accidents and crimes that are making it difficult for them to remain a united front. While both women find happiness at first there's a chance they will lose it all again and this kept me on the edge of my seat. I couldn't wait to find out what would happen and if they'd find a way out of their dire situations or not. I kept hoping for Anna and Freya to find love and happiness and not knowing if they would while they're such terrific women made me fly through the pages. Terri Nixon has a gorgeous descriptive writing style and she makes the time she writes about come to life in an impressive way. It was easy to imagine life at the beginning of the 20th century. I was fascinated by the story from beginning to end. The settings are all equally amazing, I loved reading about the bookshop, the small coastal town and the pub. Terri Nixon's way of story telling completely enchanted me and I'm thrilled that she's written another Penhaligon Saga. 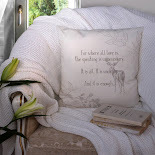 I love her main characters, her beautiful writing and her stunning surroundings. I highly recommend this series. If you love historical fiction you don't want to miss the Penhaligon Saga. I'd start with Penhaligon's Attic before reading Penhaligon's Pride, so you'd be able to understand the complete story. Terri was born in Plymouth in 1965. At the age of 9 she moved with her family to Cornwall, to the village featured in Jamaica Inn (North Hill) where she discovered a love of writing that has stayed with her ever since. She also discovered apple-scrumping, and how to jump out of a hayloft without breaking any bones, but no-one's ever offered to pay her for doing those. 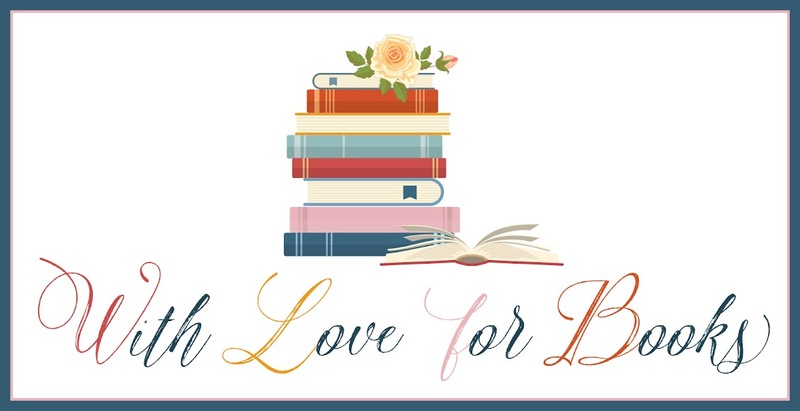 She writes in two distinct genres: Historical Saga and Mythic Fiction (a sub-genre of fantasy) and is one of the growing breed of "hybrid authors," who both self-publish and write for publishers. 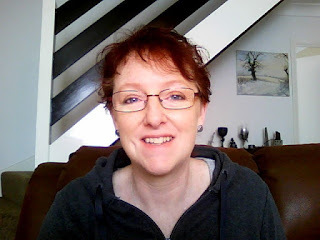 She is currently under contract to Little, Brown, for the next two books in her Penhaligon Saga, while continuing to self-publish The Lynher Mill Chronicles. 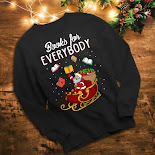 Details of all these books can be found in the lists below. Hello! And thank you so much for inviting me onto your blog today. I’m a hybrid author, writing Historical Sagas and Mythic Fiction, I was born and raised in the wonderful, wild West Country (Devon and Cornwall) and still live there now. My first traditionally-published novel was Maid of Oaklands Manor, in 2013 (for Piatkus.) I’m coming up to my ninth novel release, and feel like I’m just hitting my stride! 2) Can you describe the main characters of The Penhaligon Saga in six words each? 3) You write about strong women who lived about a century ago who don’t have an easy life, how do you get a good understanding of their situation and the time frame? I let them lead me, really! The mining community of Caernoweth, and its neighbouring fishing hamlet, Porthstennack are shaken by the arrival of formerly-wealthy Anna Garvey. It’s through her and her new trials that I’ve come to understand the strength that women (in particular) needed just to get through each day; Anna’s not been used to hard work until now, and the immediate suspicion she faces from the locals has been difficult too, after her marriage to a respected surgeon back in Ireland. But as she fights to integrate herself into the community – a matter of need rather than choice – she begins to appreciate how the lifestyle shapes the person. She inherits a run-down pub; filthy, soot-choked and neglected, and her survival there depends on turning it around and making it a success. So when you inhabit Anna’s thoughts as she gets down on her hands and knees, scrubbing-brush in hand, you begin to realise how steep and uncertain her path has become. 4) You’ve chosen Cornwall as the location for your stories, what do you love most about your setting? It’s hard to choose just one thing – I was unbelievably lucky to have grown up on the edge of Bodmin Moor, surrounded by hills and moorland, and a stone’s throw from some of the most beautiful coastline in the world. Neglected mines pepper the landscape in every direction, and you can’t help but be drawn into thinking of what they’d have been like as working concerns. So right away you’re pulled into a bygone age and it separates you from your day-to-day life, which is always both fascinating and deeply relaxing. There is real peace to be found out there, and space to think. 5) You write Historical Saga and Mythical Fiction, what do you like best about each genre? What I love about Mythical Fiction (a sub-genre of Fantasy) is the freedom to change and adapt commonly-held folklore beliefs, and to turn them into something that can sit side-by-side with my contemporary characters and settings, and enrich them. License to play! 6) You’re writing is traditionally and self-published, what’s the best part of this combination and what do you like most about each? I’ve learned so much from both types of publishing, each has different aspects that can be carried across to the other; when you’ve slogged your way through pages of edits on your traditionally-published work, you’d be mad not to then use what you’ve learned on your self-published work too; it’s a privilege to work with a professional, and you can apply it to everything you do. The best part of traditional publishing is the support you get from your publisher; not necessarily marketing, but editorial, and the feeling that you’ve got somewhere to turn if you have a problem, or need a bit of guidance as to what the industry is looking for. This of course depends on your publisher! Hands down the best thing about self-publishing is the control! You get to choose your title, your cover, and your pricing, and to manage your promotions. There’s an immense feeling of satisfaction when you hold any book of your own, but when it’s one you’ve designed from the outset, and every part of it is yours, sink or swim, you get an altogether different level of buzz! 7) Can you tell a bit more about your writing process and the research you do for your historical saga? As for research: I prefer to do most of mine from books, although I do have a great list of websites on my bookmarks bar. The ones I use the most are the historical calendar and weather page; it’s important to me to be sure I have dates falling on the correct day of the week, and to know that if I set up a fight on a muddy lawn at midnight it doesn’t turn out there there was actually a blizzard that night! The books I choose are usually those first-hand accounts that can’t be replicated or equalled; the voice is as important to me as the facts. 8) You write about close relationships based on unconditional love and friendship, what’s the inspiration behind this and what does unconditional love meant to you? The odd thing about the relationships I write about, is that I don’t usually set out to create them the way they end up. I have a vague idea of who’s an ‘enemy’ and who’s a ‘friend,’ but invariably the lines get blurred as the characters develop. I suppose I have something of a knack for switching point of view (in my head) as the dialogue happens, and so we get both sides – as we know, nothing is ever completely black or white. I’ve set out to write fierce arguments that were supposed to establish unassailable blame, on one side or the other, only to find it’s not that simple at all and the sympathy shifts back and forth between them. Unconditional love, to me, is something that you can’t deny. No matter how furious you might be, or how disappointed with someone’s actions, or how you feel they have treated you, you look at them and you know you would fight to the death to defend them. I like to think that no-one in your close circle sets out to deliberately hurt you, so eventually what has caused a rift will disintegrate, and leave you only with what binds you. 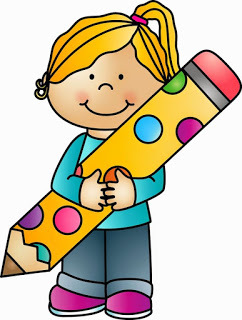 My writing career began a very long time before my publishing career. I suppose I began to write seriously – ie, towards publication – back in the mid 1990s. I started a novel back then, which has since seen several versions and is still my trunk novel, but then moved to short stories. I was lucky enough to be published in that format in small presses throughout the noughties, and in the meantime kept reworking the novel. Then I wrote the first in my Mythic series: The Dust of Ancients, and finally, in 2009, I began the book that was to get me started on this exciting trail of publication. It started life as Saturday’s Child, and was something I wanted to write as a tribute to my maternal grandmother, Mary Nixon, who was in service between the wars. The book won a competition and was published in e-book by Piatkus Entice, as Maid of Oaklands Manor. After that it’s all a bit of a blur! Two more books in that series, for HQ Digital and then back to Piatkus for the Penhaligons, plus that three-book Mythic Fiction series, which I self-published. Piatkus will release the latest Penhaligon book, Penhaligon’s Gift, later this year (likely December again,) and I have more in mind for Freya and the others; they won’t leave me alone! I have a tentative title for a fourth book in the series; Penhaligon’s Fortune, but no contract for that. I’m also currently writing a prequel to the Lynher Mill Chronicles (my Mythic series,) and finally, I’m building the social media profile of my contemporary alter-ego, Polly Duncan, who hopes to release a book in the not-too-distant future. That will be sort of light-hearted crime caper-type thing. I think! 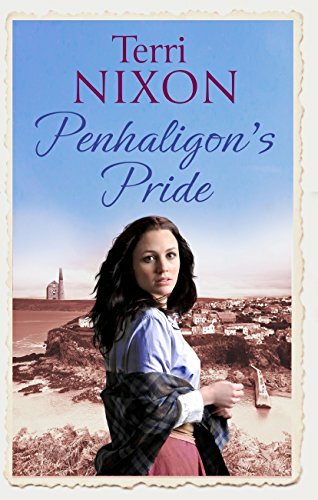 One very lucky reader of With Love for Books will receive a signed paperback copy of Penhaligon's Pride by Terri Nixon. Love the time setting. I book I will love to discover. Great interview. Wow, this sounds so well-researched and character-driven! I like the sound of it. The Edwardian era is my favourite historical era. I also am thrilled you write for fantasy as it's my favourite genre (historical being my 2nd favourite!). As an aspiring writer I'm also fascinated by your insights into how you research and write, and your discussion of the pros and cons of publishers and self-publishing. Thanks and best wishes for 2018! I do like the sound of this novel, definitely a very good read I'd say. I enjoy historical novels as they bring the era to life for me. Penhaligon's Pride sounds like it's filled with strong, unforgettable characters and packed with drama, disaster, romance, history and mystery. I love reading books with strong female characters. It sounds awesome! Love the review and would love to read it. I love Cornish setting in books, and love strong female protagonists. This novel sounds like a perfect book for me. Sounds like a great book. Thanks for the awesome interview. Hope I win! I have a soft spot for stories set in Cornwall, this sounds interesting. I love reading about Cornwall - it's always the main character. Enjoyed the interview. I never thought about the historical accuracy of weather. Thanks for the lovely book prize and for running the competition. Good luck everyone! I've never known anyone who self-publishes. Really interesting to read about it - the buzz must be amazing when it finally comes to fruition!